If you know your way around Microsoft Excel and you’re ready to learn Visual Basic for Applications (VBA) Programming this course is for you. In this online course, chemical engineer and VBA expert David Clough will introduce the built-in programming capabilities of Microsoft Excel, and its companion VBA programming language. Learn how to take your spreadsheet problem-solving skills to the next level. Mac users please note: Lectures 10 and 11 use Excel VBA ‘userforms’ which are not currently functional in Excel for Macs. Please take the course on a PC. Dr. David Clough has taught applied statistics at the undergraduate and graduate levels to chemical engineering students for the past 20 years. At the graduate level, his students have included practicing professionals. Minimize cost and maximize learning with Train-A-Team. Create time-saving VBA macros that streamline your use of Excel. Develop user-defined functions for typical engineering calculations and package families of functions in Excel Add-ins. Exchange data and information between the Excel spreadsheet and the VBA programming environment. Create VBA applications from Excel spreadsheet prototype calculations. 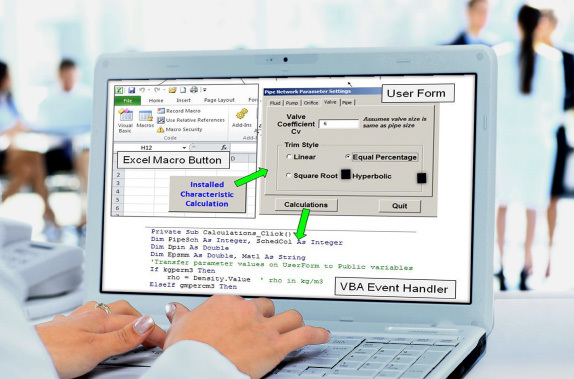 Develop user interfaces with VBA’s message boxes, input boxes, and user forms. Engineers or scientists who have been working with Excel for some time, have basic spreadsheet skills and basic knowledge of computer programming or have taken AIChE’s Spreadsheet Problem-Solving for Chemical Engineers (ELS-101). Find answers to questions about registration and refunds, tuition and fees, travel and lodging (for location-based courses), how eLearning courses work, how credits work, and more.